I am the curator at a small museum that has been doing live auctions for several years. Despite our best efforts using spreadsheets, database programs and so forth, record-keeping during our auctions has always had an air of chaos about it, because the pace is so quick, and because the kinds of information we need at any moment (totals, percentages, etc.) require having all the information already in electronic form, ready for processing. stepped into this situation and tailored an interface to our precise needs and style of auction. The end-user interface allows bidders to enter bids online (both during our "live" auctions and our "completely online" auctions), track bids, determine which items are closed, and much more, with beautiful and lively presentation of items. Best of all, the custom interface designed for us has finally allowed our record-keeping to keep pace with the bidding. Our "auction control panel" enables us to set all kinds of switches, as well as track many different kinds of information. If you are interested in having an effective and attractive online auction house, I highly recommend � they changed the way we do business. THE SADKHIN COMPLEX � With over 20 years of experience, The Sadkhin Complex� has set a worldwide standard for natural, safe, and rapid weight loss. Their program has helped thousands of people reduce their appetite, regulate diet and achieve target weight using our drug-free method of hunger control. "The seasonal approach to health"
I wanted to thank you for both your time and your efforts in developing a wonderful, fully interactive website complete with e-commerce. I came to you with a goal and you fulfilled it both in time and with minimal disruption. I can't tell you what a pleasure it is to work with someone, without ever having met them, and have them do a great job. The Sadkhin Complex is growing, and to complement this growth I developed a website at home from my personal computer. 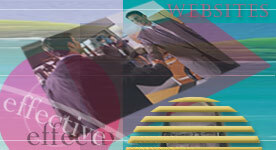 When it was completed I realized it lacked the style and coordination of a professional site. You provided that and continue to guide and assist us in our growth. As I write this, we have several other projects under development which would benefit from an ongoing collaboration with your company. Again, I thank you and your staff for a job well done and hope that we can share a bright and long future together. 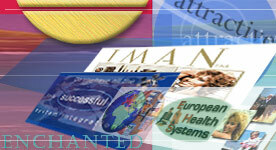 PRESSE-PAPIERS.COM is one of the premier online distributors of fine European and American paperweights. One of the paperweight artists featured on the Presse-Papiers site, Victor Trabucco, is considered a master by artists and collectors alike. His works are prized possessions of heads of state, professional athletes, major corporations, and stars of stage and screen. His work is displayed in museum collections such as the Chicago Art Institute, The American Glass Museum, The Bergstrom Art Center, and the Corning Museum of Glass. "Just a short note to say you did a great job on the site." distributors of Viacreme for women "The web site looks great." 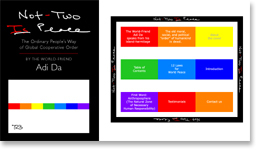 Site promoting the book, Not Two Is Peace "Fantastic work... beautifully executed.... with an efficiency I have SELDOM encountered in my professional life!!!" Enough testimonials? Read: Our Websites Stand Out!